The Oireachtas Health Committee will hold three days of public hearings on the Heads of the Protection of Life during Pregnancy Bill 2013. THE OIREACHTAS COMMITTEE tasked with writing a report on proposed abortion legislation is to hold three days of public hearings this month. The draft heads of the Protection of Life during Pregnancy Bill 2013 have been sent to the Joint Oireachtas Committee on Health and Children, chaired by Fine Gael TD Jerry Buttimer. That is the same committee which held a week of high-profile hearings in January where legal and medical experts, and campaigners on both sides, outlined what they wanted from legislation. Today, it established a timetable for further hearings on the draft document. The committee, which comprises 15 TDs and six senators, agreed to hold three days of public hearings on Friday 17, Monday 20 and Tuesday 21 May. 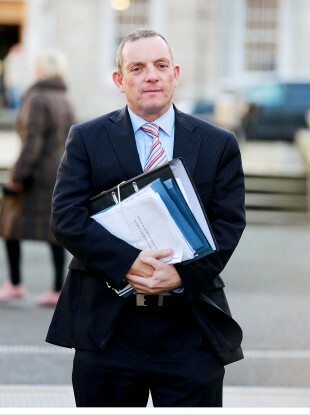 According to a statement from the Oireachtas, there was “broad agreement” as to how the meetings will be conducted. Medical and legal experts will be invited to attend as witnesses. It is understood that “professional experts” only will be called to give evidence. That evidence will focus solely on the heads of the bill. The committee will gather again on Tuesday to further discuss the witness list. Buttimer and colleagues hope to have a report sent to the Taoiseach by 30 May. The draft ‘heads’ of bill mark one of the early stages of the process of making the proposals law. Here’s a full explainer of what happens next. Email “'Professional experts' only to be called for hearings on abortion bill”. Feedback on “'Professional experts' only to be called for hearings on abortion bill”.